Provide comfort for the family of Don Myers with a meaningful gesture of sympathy. ALEXANDRIA- Don E. Myers,74 of Alexandria passed away January 15th,2019 at Community Hospital North. He was born on June 20, 1944 in Hartford City to Howard and Lena (Hartzell) Myers. 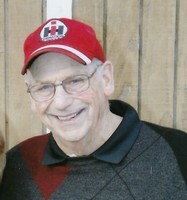 Don graduated from Dunkirk High School in 1962. Don was known by many as “Pops”, and “Poppy” he had a strong passion for being outdoors, He grew up on a farm ,enjoyed camping and fishing especially with his grandchildren. He loved tending to his garden in the summer, he loved his Great Dane dogs and was an avid Cincinnati Reds fan. He was a hardworking man starting out as a diesel mechanic and worked for Braun Trucking until December 2017. He was a former member of the First Baptist Church in Alexandria, and a current member of Glad Tidings Assembly of God in Anderson. He is survived by his high school sweetheart Julayne (Whetsel) Myers whom he married November 29,1964. Son: Devon (Amber) Myers, Daughters: Donalayne (Ira) Wormack , Marcie (Steve) Kellams, Grandchildren: Austin (Brandi) Quinn, Kate(Justin)Cruise, Mackenzie(Torrey) Wallace, Justin Quinn, Alexis Myers, Peyton Quinn, Macie Cox, Paxton Quinn, Zac Myers, Madi Myers, Gavin Kellams, Rylie Kellams , Great Grandchildren: Ella and Emmi Quinn, Justine Cruise, Piper Quinn, Oliver Myers, Alexander Wallace, Hunter Cruise and arriving soon Evynn Quinn and Sawyer Quinn. Don is also survived by his sister Mary Helen (Lyle) Buckner, brother Robert (Fran) Myers, along with several nieces and nephews. He is preceded in death by his parents, brother Richard Myers and grandson Drew Myers, father and mother in law Bill and Treva Whetsel and his beloved Great Dane Bosco . A service to celebrate Don’s life will be held on Friday, Jan 18, 2019 at 11:00 am in Glad Tidings Assembly of God Church, 815 School St., Anderson with Rev. Matt Boldiszar officiating. Cremation will follow. Friends may call at Whetsel Funeral Service, 1503 S Park Ave., Alexandria on Thursday, Jan 17, 2019 from 4:00 pm to 8:00 pm and one hour prior to the service on Friday at the church. In lieu of flowers , memorials can be made to Glad Tidings Assembly of God ,815 E.School St.Anderson, In 46012 or in care of the funeral home. Whetsel Funeral Service is honored to celebrate Don’s life with his family and community. 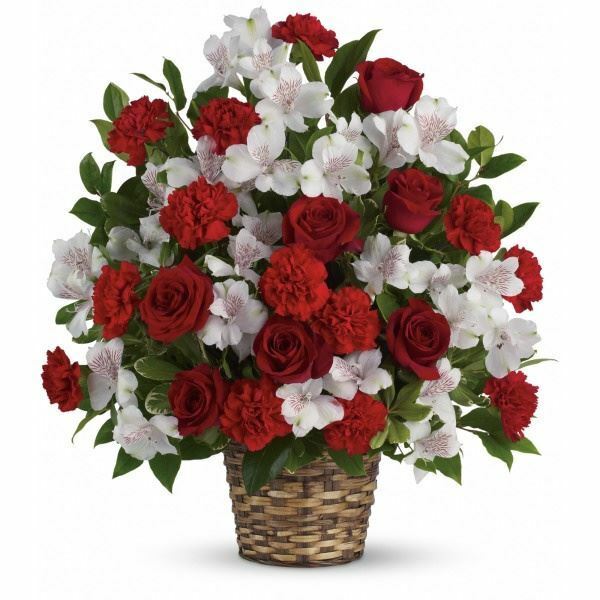 To send flowers in memory of Don E Myers, please visit our Heartfelt Sympathies Store. Cremation will follow the service. We encourage you to share your most beloved memories of Don here, so that the family and other loved ones can always see it. You can upload cherished photographs, or share your favorite stories, and can even comment on those shared by others. The Braun Trucking family and Robin and Steve Nolley, Dawn Myers, Kelley, Tad, B have sent flowers to the family of Don E Myers. With heartfelt condolences for the biggest Cincinnati Reds fan we know. The Braun Trucking family purchased the Truly Beloved Bouquet for the family of Don Myers.